Hulu Subscription Service Launch Imminent? Hulu, the second-largest online streaming site in the country after YouTube, has already announced that it is profitable. The highly popular site, which streams more than a billion videos every month, may soon be offering a subscription service. The paid access option, known as Hulu Plus, could launch as early as this coming week, possibly in a limited test of 10,000 or fewer people. The paid service will cost a reported $9.95 per month and offer a larger catalog of movies and TV shows than Hulu currently offers for free (interspersed with short ads). 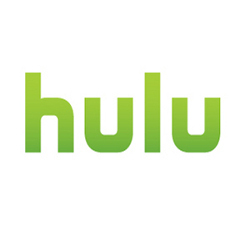 Hulu Plus content may also be viewable on devices other than desktop and laptop computers, such as video game consoles and the iPad. Do you think consumers will be willing to pony up for an expanded catalog of content that they have become accustomed to getting for free? Does ten bucks a month, about the cost of a lower-tier Netflix subscription, seem fair for access to a larger catalog on Hulu? Tell us what you think in the comments. I’d have to see the details to evaluate whether it was really worthwhile, but I might go for it. It helps that Hulu does such a good job of providing a good viewing experience (this is particularly true compared to the streaming options on most other networks). If the paid option offered enough that was of real value, I’d probably be willing to give it a try, particularly if they keep the price reasonable. Can’t make the cable guys feel warm and fuzzy. I use Hulu all the time, because it’s free. I will not pay for it. The quality would have to be 100 times better for me to begin to even think about paying for it. I would probably just subscribe to Netflix. Hulu is one service I might actually consider paying for. They do need less commercials though. They also need more reliable streaming servers, the buffering… has got to go. The price point is a bit high for a service we’re used to getting for free. I do, however, use it all the time, unlike my netflix subscription, which rarely gets used. Open the streaming to xbox/xbmc, and other consoles, and it may be worth $5.00 a month. If I didn’t have a DVR downstairs I might consider paying more, but they’d need to have ALL shows available, and none of this expiration garbage. If that’s the case, I’d definitely consider paying more. I think that if what is free now remained free and there was a significant increase in the titles available, less commercials, more streaming possibilities (roku, xbox, etc.) than I would do it, although I’d prefer to pay less than $9.95/ month. It will make me angry if they start charging for what is already free. If they are going to have a Hulu Plus membership fee it should be for: 1. commercial free viewing, 2. premium current movies. What they offer for movies now is not worth even $5.00/month. Charging $9.95 a month for what they offer now, I would never pay. Ever notice all these people come here & post with the one word names such as Andrea, Jeffery, Maren, Katrina, & Leetla, & the post the same message over & over all within a few minutes of each other. I’d have to see what you get for 9.95. I get a really good deal at netflix so I think that’s a steep price unless they have a lot of content I can’t get free anywhere else. If it were $4.95, I’d be a lot more likely because I can’t imagine what Hulu can possibly offer that would justify $10 a month. With all that said, there would have to be 0 commercials for paid content. I hook my laptop up to my tv now so the xbox, wii thing is a nice to have but 0 commercials are a must. For Hulu for charge more than Netflix they are going to have to offer more. If offering more means they are going to offer current programming that Netflix doesn’t offer then it might be worth it. I’m pretty sure you can’t get something on Netflix streaming till it has been released on DVD. That would be the only way it could be worth more money than Netflix. Just something to think about. If it cost $2.95/month and no commercials I might consider it. I would pay for the service, especially if they get more content. I would love to find somewhere that has food network shows. I canceled my cable a while back and rely on netflix and redbox for everything. I really miss my foodie shows, and definitely would be willing to pay $10 a month for that. In the last few weeks HULU has been slowing down more with frequent stutters. I have been unhappy with it and am using Fancast more. Now they wan to offer PAID service. No way in Hell!!! -At LEAST DVD-quality picture and sound- if it isn’t possible to get that through my computer hooked to the TV, they need to make an ‘app’ for my Vizio TV or sell a box I can hook up. -NO COMMERCIALS, period. The main reason I don’t have cable is I refuse to pay for programming that is already advertiser-supported. -NO ON-SCREEN LOGOS! If you watch full-screen through the site, you get a ‘hulu’ bug on the left and the logo of whatever network the show comes from on the right. If you install Hulu Desktop there’s no hulu bug but you still get the network logo- I know a trick to get rid of it though! I quit watching network TV when this spread to every network 12 years ago; it’s disgusting that the public has tolerated it this long. I think Hulu is a great site but I really hope they don’t start charging for regular shows that I can watch for free on regular TV channels. I go to Hulu to catch occasional episodes that I miss and would never go there often enough to pay a monthly subscription. I watch tv shows at my convenience usually within a week of airing. I use Hulu because I’ve bookmarked it and I don’t have to have different media players on the different network websites. It’s just easier than going to CBS for a few shows, Fox for a few others, ABC… No, I would not pay for what I’m sure they make from me watching the shows on their site. If they got rid of all the adds i may pay up to 3.00 a month but no more. and I would want more shows to choose from with no expration date. I agree with the comments above. Freezing up, buffering, annoying “gimme money” ads- irritating, that’s true, but free. Would i pay $9.95 a month for this- not in your life for such poor content unless there was a serious upgrade of quality and quantity, and even then, that is too steep for an entry level position. I think the price point of $4.95 would be a good place to start if Hulu moves forward with this plan.